Financial Management Association International (FMA) is committed to protecting the personal information collected from website users, active members & lapsed members in the operation of its services. We are taking steps to maintain the security, integrity and privacy of any information in accordance with this policy. By submitting your information to FMA, you consent to the practices described in this policy. Those under 18 years of age must seek the consent of a parent or guardian prior to submitting personal information. FMA may collect personal information directly from your verbal or written input (such as by consenting to receiving marketing emails or completing online forms). In order to access certain content and to make use of additional features of our website and services, we may ask you to register for an account by completing and submitting a registration form which may request additional information. FMA may use your personal information in the performance of any contract we enter into with you, to comply with legal obligations, or where FMA has a legitimate business interest in using your information to enhance the services and products we provide. Legitimate business purposes include but are not limited to one or all of the following: providing direct marketing and assessing the effectiveness of promotions and advertising; modifying, improving or personalizing our services, products and communications; detecting fraud; investigating suspicious activity (e.g., violations of our Terms of Service, which can be found here) and otherwise keeping our site safe and secure, and conducting data analytics. Personal information will not be kept longer than is necessary for the purpose for which it was collected. This means that, unless information must be retained for legal or archival purposes, personal information will be securely destroyed, put beyond use or erased from FMA's database when it is no longer required or, where applicable, following a request from you to destroy or erase your personal information. On occasion, FMA rents the mailing list of our current members to third-parties such as regional finance associations or publishers for mailings which we feel may be of interest. Prior to the rental of our mailing list, the mailing piece to be used by the third-party is reviewed and approved by the Executive Director. A request for the rental of our mailing list for a mailing piece deemed inappropriate will be denied. Only physical mailing addresses are used in this manner. FMA does not release email addresses of our members to any third party. There is a necessary connection with services provided by third parties that we contract to provide services to our members. Click here to read more about our contracted third parties. FMA is required to disclose personal information in response to lawful requests by public authorities and government agencies, including to meet national security or law enforcement requirements; to comply with a subpoena or other legal process; when we believe in good faith that disclosure is necessary to protect our rights, to enforce our Terms of Service, or to protect the rights, property or safety of our services, users or others; and to investigate fraud. FMA may transfer your personal information outside of your country of residence in order to process your transactions. We may store your personal information on our servers and those servers may reside outside the country where you live. FMA has servers located in Tampa, Florida, United States. FMA also has service providers located in Georgia and Massachusetts, United States and outside the United States (United Kingdom, Singapore). Such processing may include, among other things, the fulfillment of your print journal subscription order and the processing of your payment details. Where applicable under your local laws, we will not use your personal information for marketing purposes, nor disclose your information to any third parties, unless we have your prior consent, which we will seek before collecting your personal information. You can exercise your right to prevent such processing by checking certain boxes on the forms we use when collecting your personal information. If at any point you wish to review or change your preferences you can use the "opt-out" or unsubscribe mechanism or other means provided within the communications that you receive from us or by sending an email to [email protected]. 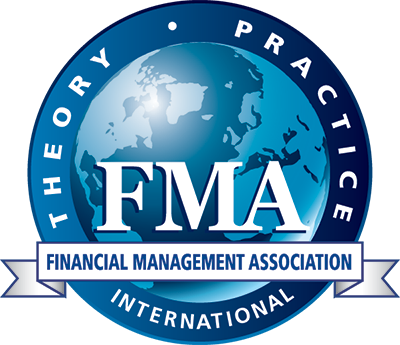 Note that you may still receive transactional communications from FMA. Users have the right to view, remove, or update contact information, usernames, or passwords from their FMA accounts. To access and update information, individuals should log into the website, and hover over the grey "My Profile" tab on the Member Home page. Users have the right to unsubscribe from future marketing emails. To unsubscribe, individuals should click the "Unsubscribe" link at the bottom of an email received from the FMA or choose "Contact Preferences" from the grey "My Profile" tab on the Member Home page. This action will only remove the user from future mass mailings from FMA, not form confirmations, membership renewal notices, or invoices. Individuals may re-subscribe by navigating to the "Contact Preferences" from the grey "My Profile" tab on the Member Home page or by contacting [email protected]. Individuals may inquire about the profiling data that has been collected about them and/or request to be removed from marketing lists and FMA’s database by contacting [email protected]. FMA contracts with MemberClicks, Inc., a third-party data hosting service, to manage membership and contact information of individuals and/or entities for FMA’s unique business purposes. MemberClicks’ does not sell or share contact information with any third parties, including partners, advertisers or third party service providers, except as necessary to provide services or as compelled by law. MemberClicks’ does not sell or rent contact information to third parties of any kind for any reason. Neither do they use contact information for their promotional use or direct marketing efforts. To view Member Clicks’ entire email privacy statement, click here. MemberClicks also hosts FMA's website. To view MemberClick's entire security policy, click here. FMA contracts with YourMembership, Inc. to host a job board. As such, FMA shares limited data with YourMembership to verify membership status and provide access to job board. To view YourMembership's entire security policy, click here. FMA contracts with Authorize.net to process securely credit card payments. Authorize.net is in compliance with the Payment Card Industry Data Security Standard (PCI DSS). Authorize.net is also validated annually by external auditors for the current, relevant portions of the Sarbanes-Oxley Act and for the Statement on Standards for Attestation Engagements (SSAE) No. 16 (SSAE-16). These companies may use information other than personal information (e.g., click stream information, browser type, time and date, subject of advertisements clicked or scrolled over) during your visits to these and other websites in order to provide advertisements about goods and services likely to be of greater interest to you. Any comments, complaints or questions concerning this policy or complaints or objections about our use of your personal information should be addressed by contacting to FMA at [email protected].